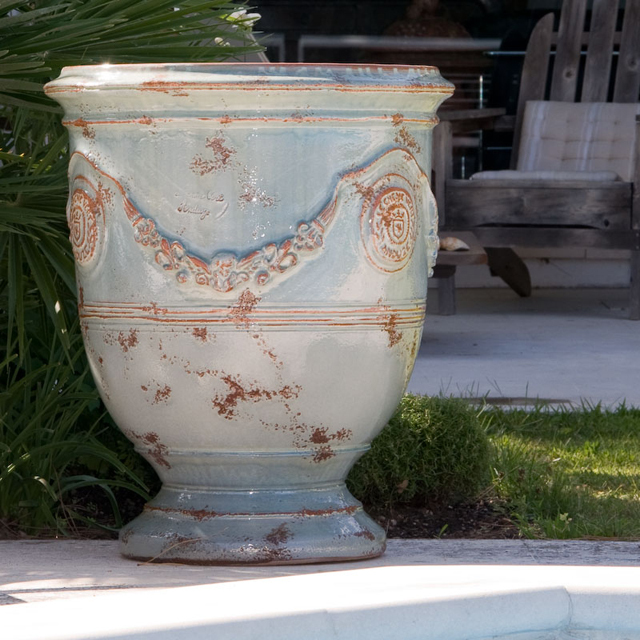 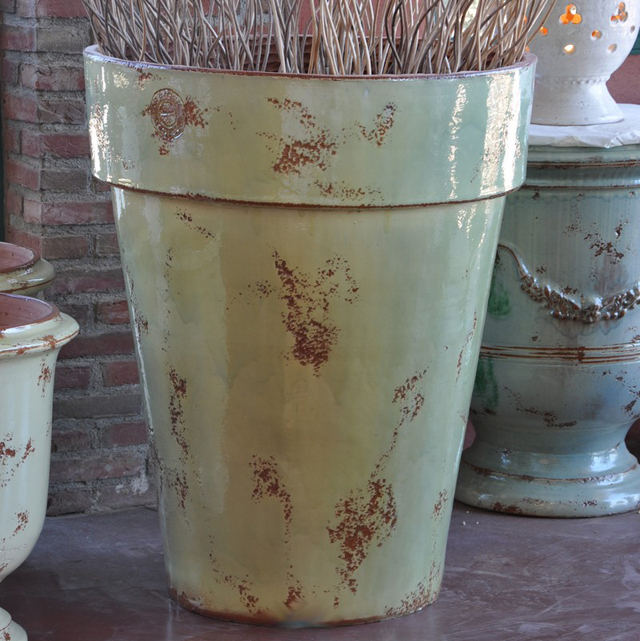 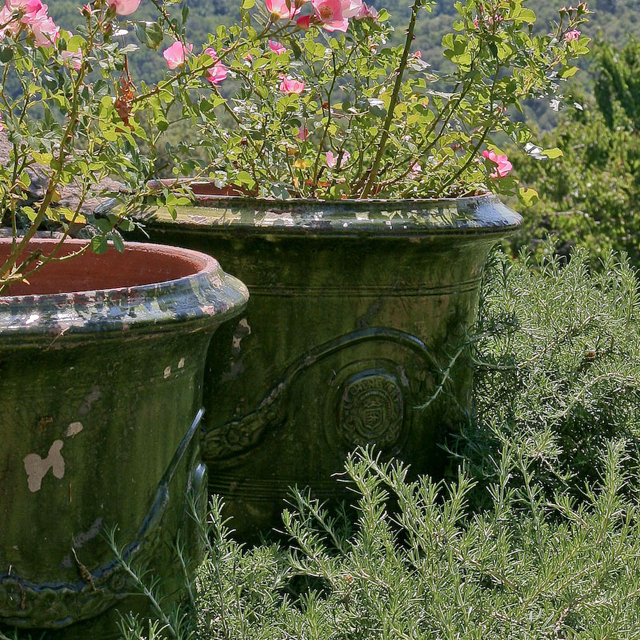 I was flicking through the September edition of the Garden Design Journal this morning and came across these amazing pots by Poterie Le Chêne Vert. 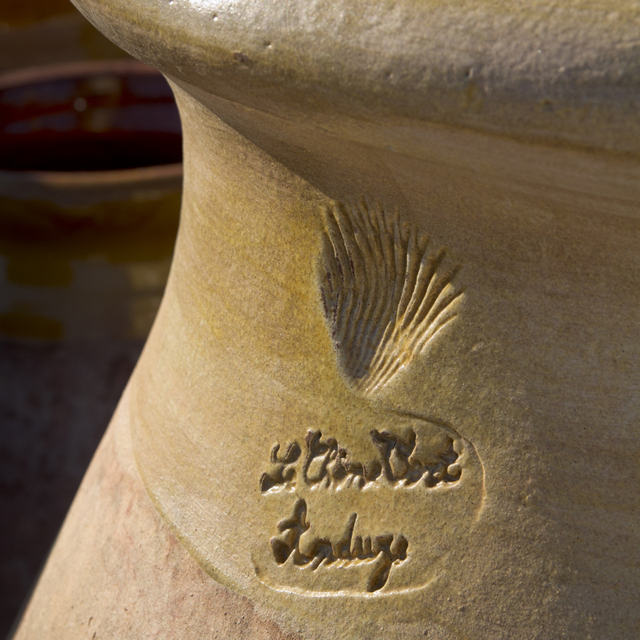 Poterie Le Chêne Vert is a family run company based in Boisset Gaujac near Anduze in the South of France. 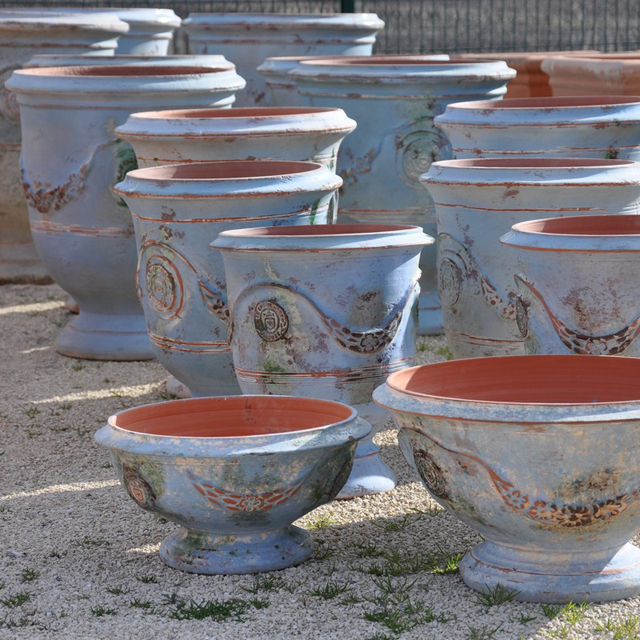 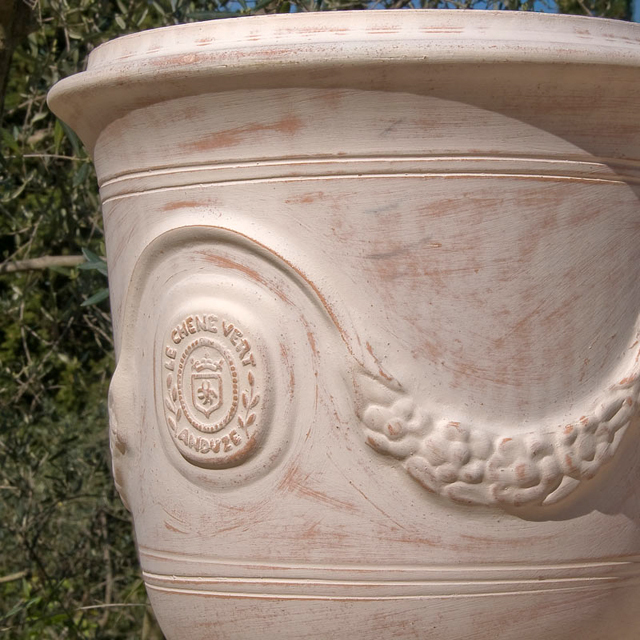 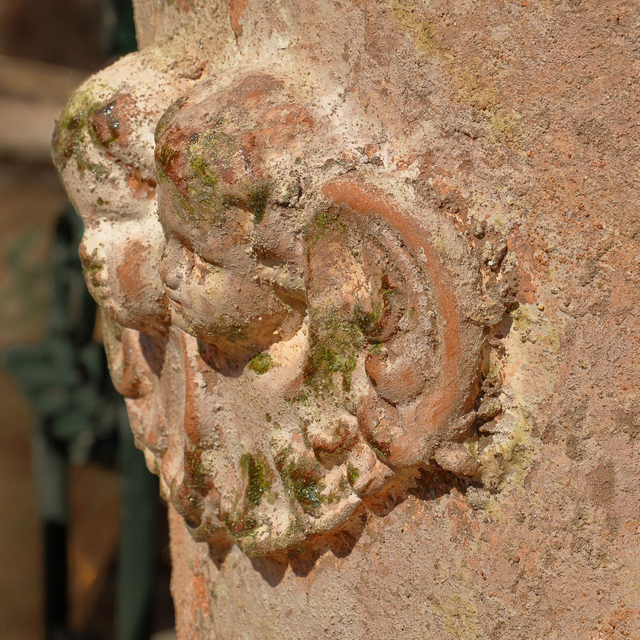 Over the years they have made Anduze vases for the Palace of Versailles, the Mayor of Montpellier, the Mayor of Nice Côte d’Azur and the Château de Flaugergue. 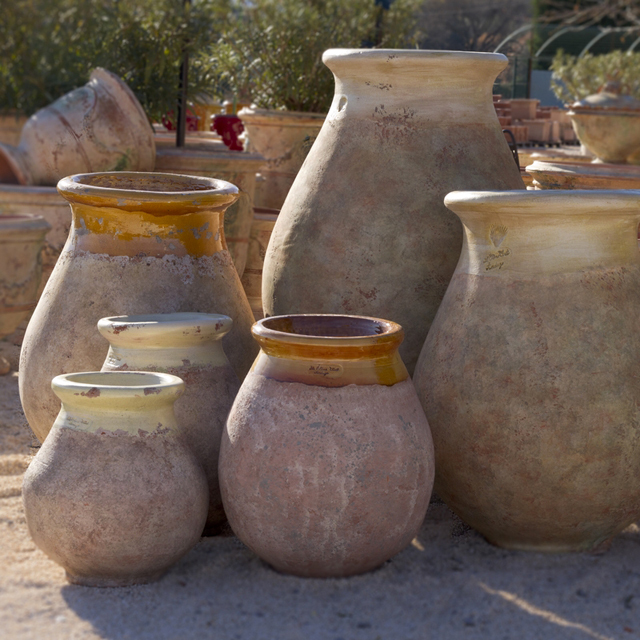 Each vase is hand turned and left for a few days to dry. 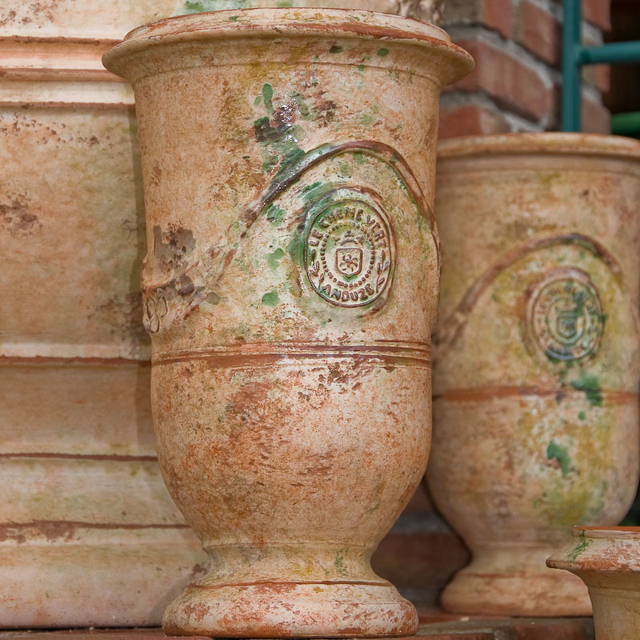 When the vases take on a leathery feel, each is hand glazed and baked in the kiln at a temperature of 1000°c. 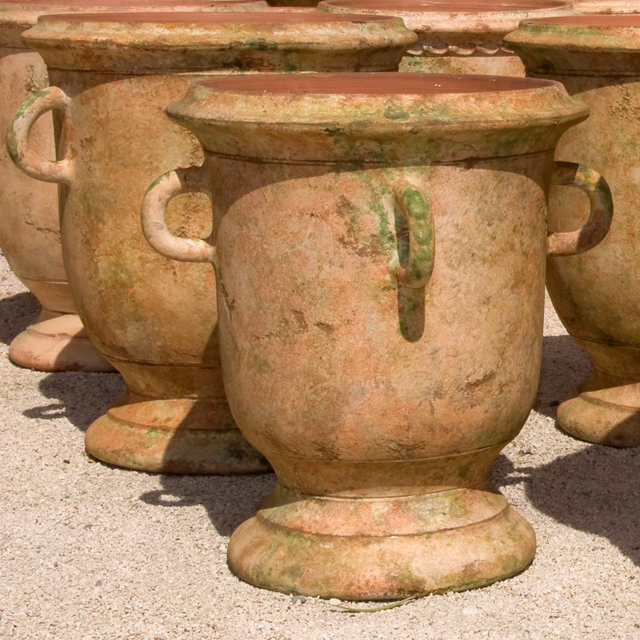 Each vase is therefore individual. 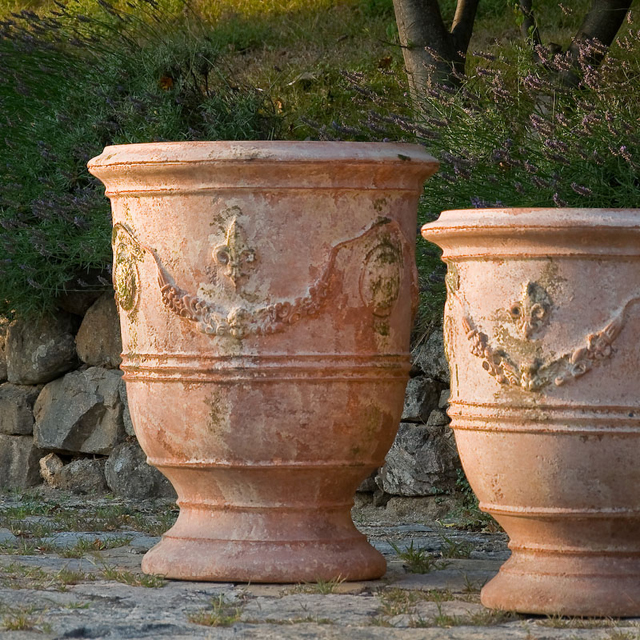 They range in size up to 85cm tall but if your budget won’t stretch to one of these, there are some smaller versions which are just 15cm high. 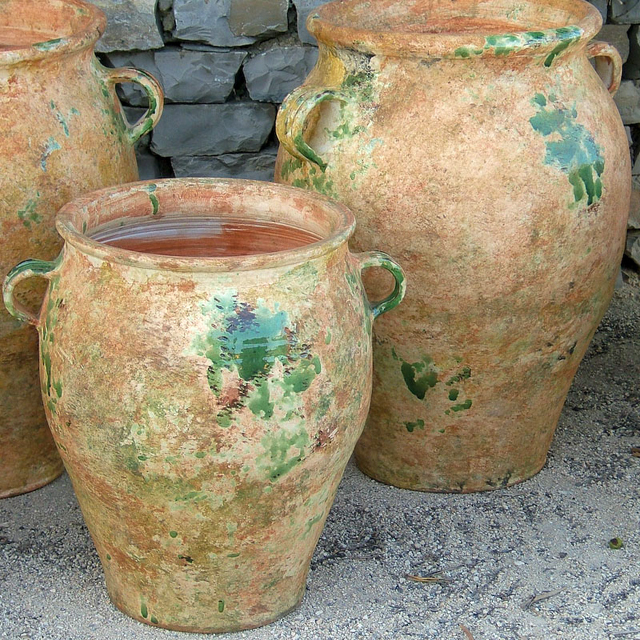 I particularly love the more natural looking finishes, I think because they are more akin to the urns and pots that satisfy my passion for classical Greece, but I also love the colourful vases like the one above. 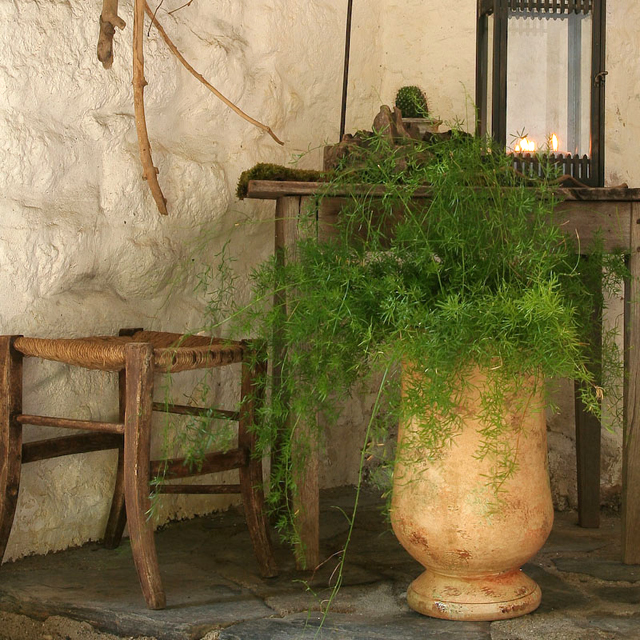 I can imagine one of these inside a rustic cottage somewhere. 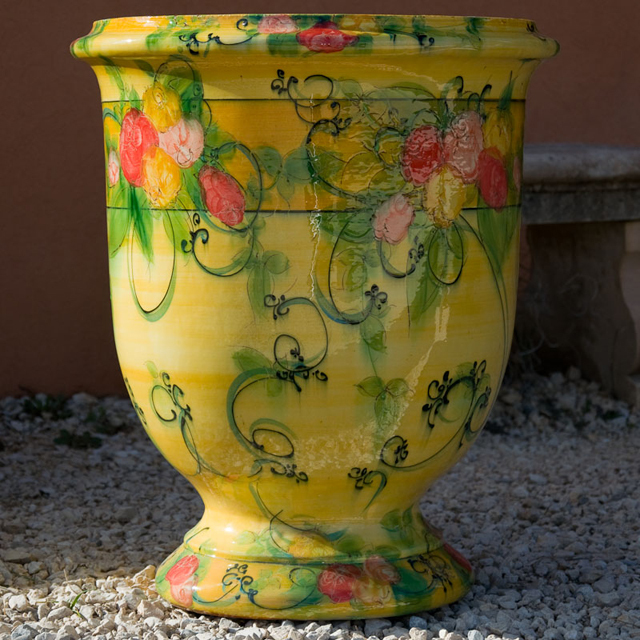 You can see the full range of Anduze vases, finishes and sizes on the Poterie Le Chêne Vert website.